Brand monitoring is no less important than any other type of digital marketing. You cannot play a game blindfolded (only if it’s about Blind Man’s Buff). By fitting brand monitoring into your marketing strategy you save yourself the headache of getting stuck and pushed to the wall when realizing how much valuable and authentic information you’ve been missing out from the web and social channels, and there’s little else you can do now. Only 9% of tweets mentioning companies start with@. Which means that 91% of people are talking about you, not to you. And this is a pretty strong and sound reason to start using a brand mention monitoring tool right now. You wouldn’t want to miss anything tasty or, well, sour in regard to your brand. You see, brand and social media monitoring are not at all a marketer’s whim born from the will to fit the trends and be seen using loads of tools or engaging in hectic marketing strategies. On the contrary, real time brand monitoring is a definite must and need for the everyday marketer. But First... What Is Brand Monitoring? Brand monitoring is a vast term encompassing track of conversations about your company, brand, product, or industry, be it on social media or the web, by crawling and analyzing specific keywords. Others refer to brand monitoring as web monitoring or social media listening. The trigger for brand monitoring and social media management is played by brand mentions, embodied by those monitored keywords. A good and up-to-date brand monitoring tool should be able to deliver results from a variety of sources and mediums, such as blogs, news outlets, pages of all sorts, social media, video transcripts, and others more. There’s an old saying that goes like “keep your friends close, but your enemies closer”. While various meanings can be given to it, an important one is to emphasize the importance of knowing who you’re dealing with and against in your niche. Ignorance doesn’t sell good, and neither do bad choices. Running an in-depth brand mentions competitive analysis could help you make sure that you are not overlooking any efficient strategies that might be working wonders for your competitors. Brand monitoring is important for all brand owners, both small and large businesses. Tools like BrandMentions can make things easier. It’s too complicated and, actually, impossible to manually track all your competitors’ records and activity. Learn from your competitors! By understanding their weaknesses and strengths, you can take better business decisions, know what niche to focus the most on, provide excellent services, and take notes on how to create brand evangelists. But to start with, how do you find who is the most popular brand in your niche? And here is where a brand monitoring tool takes the floor. Let's do a bit of superheroes market research to better understand this matter, by having a little fun meanwhile. 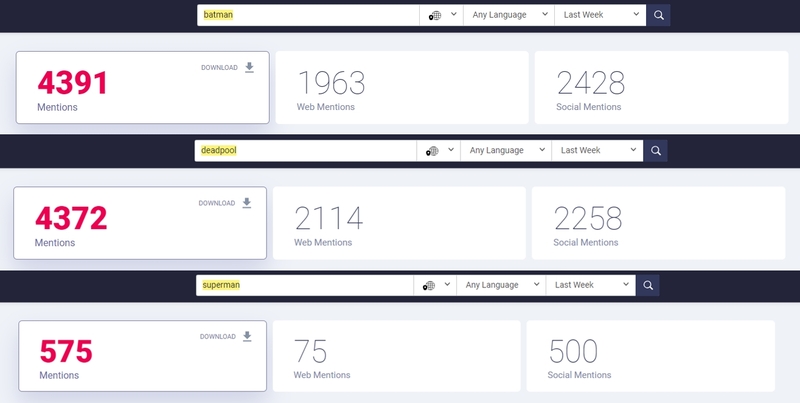 With no intention of debating any superhero's popularity, we can easily draw some conclusions, for any company, brand, topic (anything that you can call competition) just by looking at their number of mentions. In the screenshot above, we can see the number of mentions written in any language, all over the globe, from the past week. Of course, there's a lot to analyze here. Not only the numbers matter but the "performance score" of the mentions, the social-web ration, the diversity of languages they are written in and so on. We can see that even if Batman seems to be the most popular, Superman is more active in the social media marketing field. And yes, all mentions matters, but some matters more than others. When looking into your competitor’s yard, look at its best practices and try to figure out what worked best for them. Although it might sound bad to spy on your competition, this marketing technique is a fully transparent, popular, and white-hat one. How else would we all improve ourselves and our brands if we were to not compare our endeavors with the others’? And this is where a brand monitoring tool comes to rescue us. When doing competitor spying, we are actually building PR relationships. Directly by getting to know your common audience better (the one your competition shares with you) through your competitors’ eyes, win ties with important outlets in the industry etc. Also, while keeping “your enemies” closer, you indirectly relate to and establish a relationship with them. By constantly trying to keep up the pace with or outrun the brightest ones in the niche, and struggling to not ever fall in the pitfalls of black-hat marketing techniques other companies deploy in their strategies, you simply get better and better. In other words, you widen your professional circle. Competitor spying is the more polite version of eavesdropping. There's no harm in doing it as long as you're using the tools to improve yourself and not disrupt the other. You can easily gain insights on your competitors' performance and dig into their success strategies and use the lessons to your own benefit. Having a successful brand is not necessarily about being the first in everything, but about being in the center of the action. Your center of action should be your audience and their needs. Your customers are the fuel for your business and, to some extent, the apple of the company's eyes. Making existing customers happy can help you sell more than finding new customers. Given their importance, why not take the pulse of your business properly and start doing some real media monitoring? The thing is you have to find them. All of them. Although it might sound adventurous and intriguing to get to know every bit of follower or customer, it's quite a headache to nail their search. This is where you need a fit brand listening tool that would help you hear and tend to your audience. Yet direct mentions are not always the case. 31% of tweets containing company names or logos don't include their Twitter handle or Facebook tag. Therefore, what's there to be done? BrandMentions.com has got them all. All you need is type in the desired brand, topic or keyword, select the language and length of time, and the tool will find you fresh and old mentions from across the Universe in real-time. Not only does it cover the web, but it also provides data from social media platforms such as Facebook, Twitter, YouTube and many more. 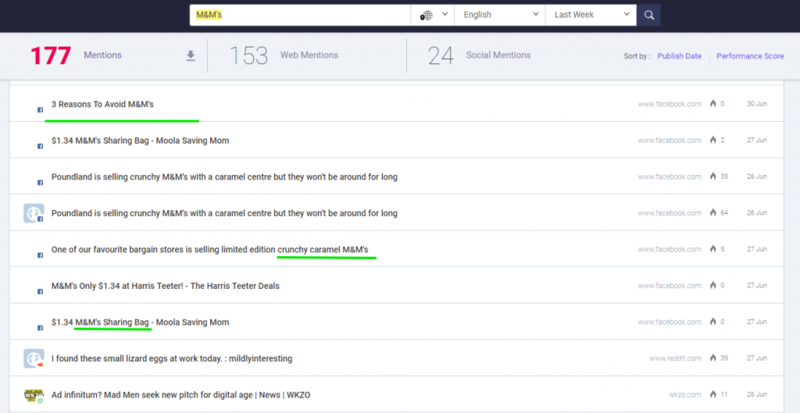 What is more, you get mentions' sentiment analysis as well. Mentions that you couldn't have found otherwise. Social media is a great environment for nurturing freedom of speech and information sharing. But social networking also influences your brand reputation. A lot. Most people on the Internet post at least once in their life a review, either official - on brand profile pages - or unofficial, on their own wall. 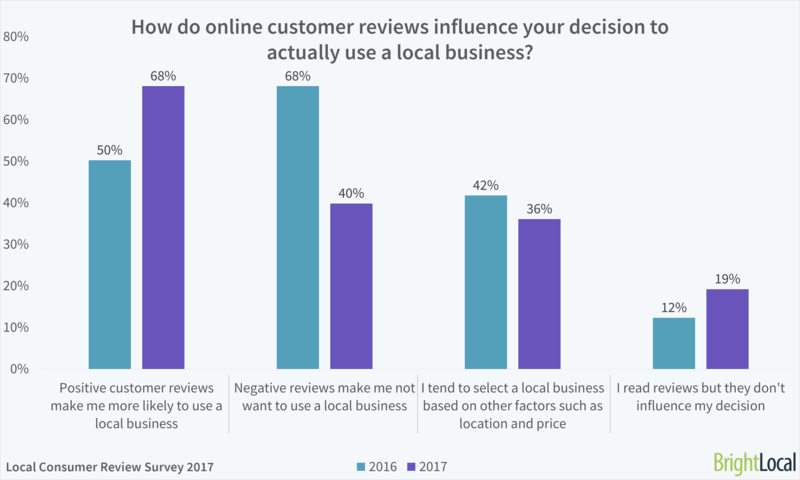 Chance has it that that particular review should be either pointing to a positive or negative brand experience. Once you learn what people are saying about you, you can connect with them. Share positive mentions promptly, and deal with the negative ones as quickly as possible. Especially when you screw things up, don't forget to apologize. 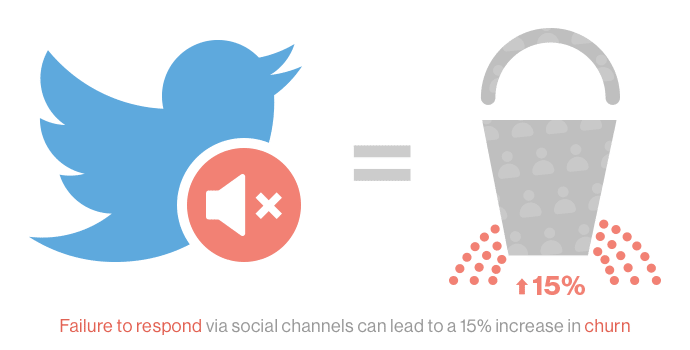 Failing to respond to your audience's queries and complaints on social media can increase the churn rate by 15%. So we'd better use some management tools and monitor social media and listen, wouldn't we? Especially when one reason for clients to leave a company is due to bad customer service experiences. Jay Baer says that "Content is fire. Social media is gasoline". If social media is gasoline, we’d better learn how to handle it as we wouldn’t want to set our brand on fire. Social media has become the world's shortest press release. Hence we should be very careful as to how our brand is talked about and what it's said about it. Find the brand advocates in your niche. Look them up, examine them, and delegate them. Social mentions are extremely precious nowadays. It's because they kill two birds with one stone: they address various dynamic audiences (hence they can touch masses of people) and bring new customers through simple word-of-mouth. And given that users generate content mostly on social media, it's wise that we win them first. Did you know that 66.7% of public brand mentions on social media happen on Twitter? No need for comments here. A brand should be about them, not you. So make'em feel like home when deploying various actions using your tool, product, or whatever you sell. Participate actively in shaping a positive opinion of your brand. Connect with your following (and we're not referring to your support chat), tie bonds, and empower them. Social networks seem to have taken over every information sector and content-driven institution. Journalism, banking systems, biographies, political campaigns, leisure industry, retail, and even government and security, are all filtered through social media first. Every second, thousands of tweets go live on Twitter. Be part of them. Learn how to win on social media, and thus your brand mentions. Andrey Lipattsev, a Search Quality Senior Strategist at Google, made it clear that links are one of the most important Google ranking factors. Consequently, besides your page content, you should tend to your links very carefully. Most times, if the content on your pages is qualitative, authentic, relevant, and useful links will come naturally. Yet, there are situations when people mention your brand/piece of content/website but do not link back to you. What can you do about it? Every day on the web, thousands of pages are created . And from this never-ending sea of content, you need to find where and when you are mentioned, and also identify those web mentions that don’t have a link to your website. A brand monitoring tool like Brand Mentions comes to rescue one more time. All you need to do is filter your analysis and you'll instantly find ALL your unlinked mentions. Pretty cool, right? Once you spot the unlinked mentions, contact the webmaster or user and get to know them better. Express your gratitude regarding their mention and ask them whether they'd be willing to add a URL link to your website or web page. This way you build a new relationship and a brand new link to your page. Brand mentions provide opportunities for link building in the sense of making people know and learn from each other more. Maybe you find someone in the same niche as you or some customer who has written a review regarding you. Web and media monitoring can only bring you benefits. I think there's a well-known fact in the digital marketing industry that content is king (OK, maybe a very important one among a few others). Everybody utters it. Another popular fact is that links follow high-quality content. It's not usually the other way around. Google appreciates content over links. Big time. Your content should be the means to make your reader come back. Make it new, exciting, fresh. BrandMentions.com identifies key topics and gives you endless resources for your content. It can provide the necessary information for you to rank higher in Google, learn from your competitors’ tactics and success strategies, and reveal popular keywords. By constantly monitoring the web, both for your brand and your competitors, you'll get to cover unexplored fields such as trending topics, mutual concerns your customers share across the web, overly repeated keywords, questions nobody has an answer to (not even your Q&A web page), so on and so forth. The wisest marketers and businessmen out there try to uncover pain points in their industry that they can be the first to address. Follow the same path and add one more plus to your website and/or brand. By doing social tracking and web monitoring, you'll gain new business ideas. Often times, customers share their thoughts and ice-breaking ideas on the Internet. Why not make use of the abundant information that's waiting for you up there and miss it out? Those of you who've seen the Darkest Hour movie might remember the scene where Prime Minister Winston Churchill sneaks out of his car "gets lost" on the streets of London, and take the Tube to ask ordinary Londoners what they think about the tense political situation in those times. Getting back to our sheep, that's precisely what you should do with your customers too. Social media channels are full of ideas regarding your brand. Get in touch with your audience and get the answers to your own questions. Last but not least, your content will get way better after applying some smart moves and techniques you've seen your competitors deploy. 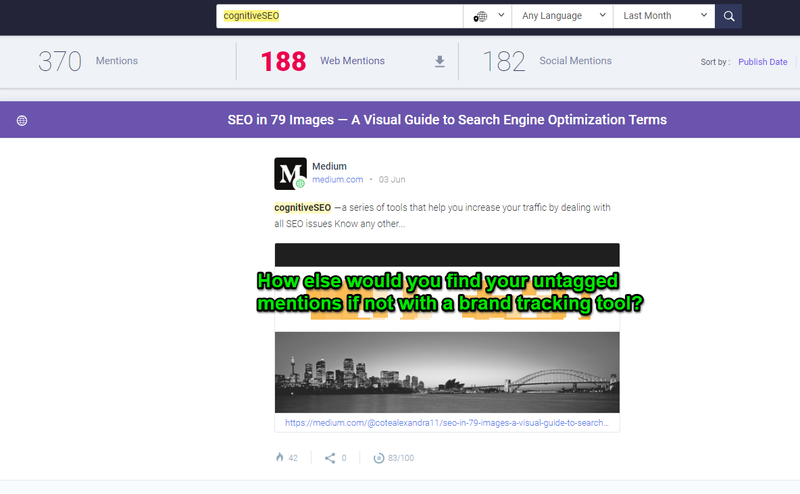 Use a brand mention monitoring tool, search for your competitors and learn from the big players in the industry. 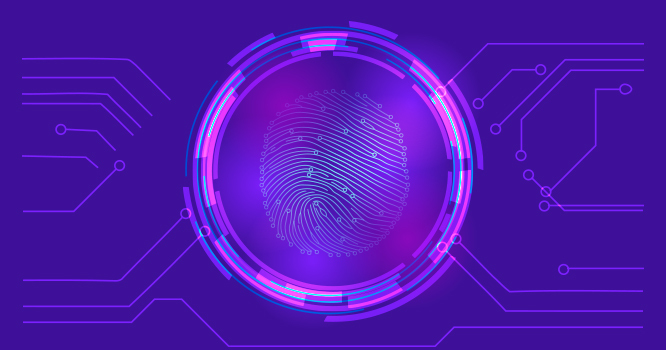 By deploying digital brand monitoring, you'll be able to improve your marketing impact on your audience, widen your perspective over niche keywords, create a customer-centric product and services, and eventually increase sales. And why not, even catch your brand infringers. It's all about smart digital marketing. There are a lot of brand tracking tools available on the market. All are promising improved social media monitoring, sharing their success stories and promising better search results. And while monitoring tools like Brand Mentions can save tons of time and energy, the key is to understand the data and the context you're are working in. You need to do start tracking your overall brand health and then decide where's the best place to start refining first: your content (do one that your audience craves for), marketing campaigns ideas, customer support experience, or business decisions.